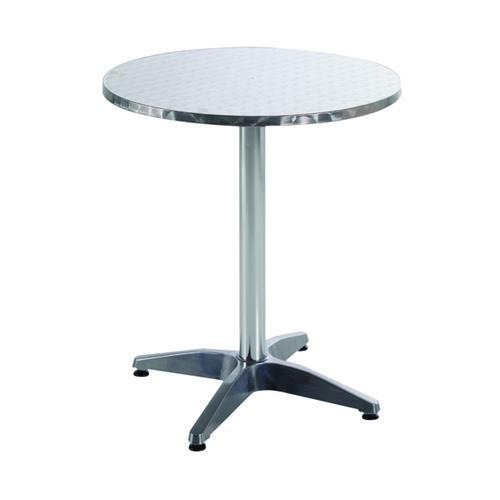 Suitable for both indoor and outdoor use, this aluminium table is attractive and eye-catching. The circular table top sits on a single column, for maximum leg room underneath. At 600mm in diameter and 700mm high, the table is at once compact yet large enough for two, three or even four people to use in comfort. Matches the Arista Aluminium Mesh Stacking Chair (KF73900).